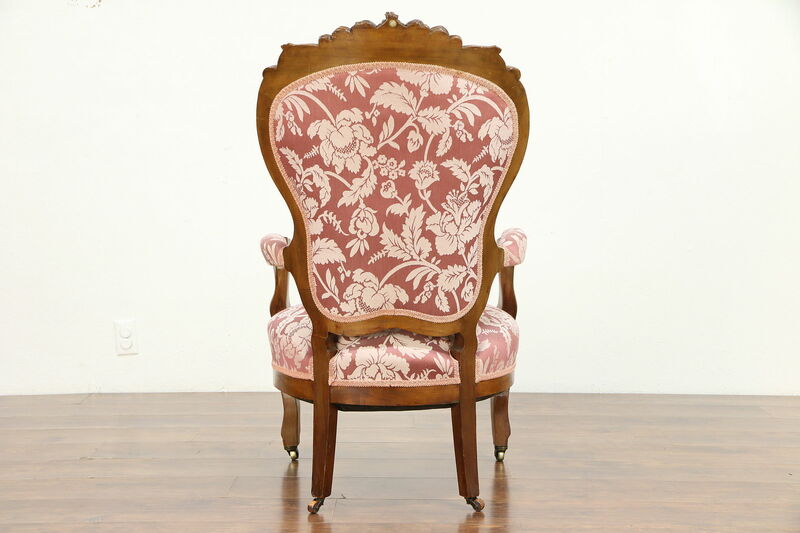 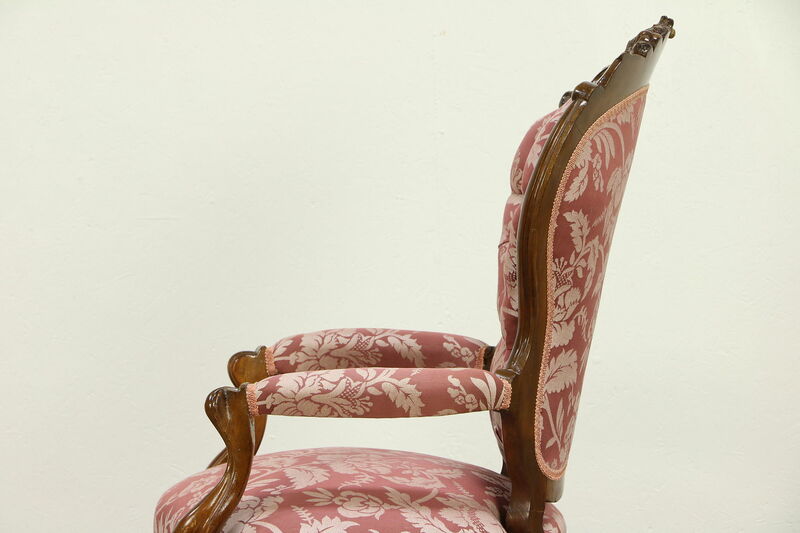 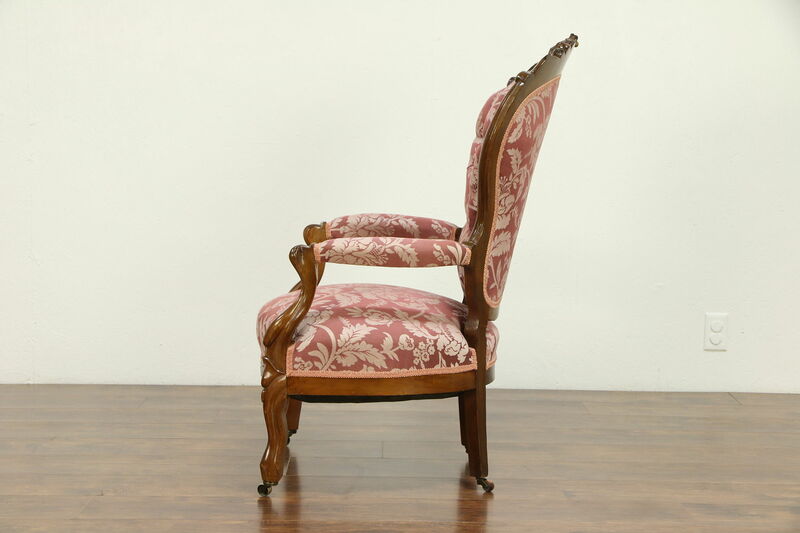 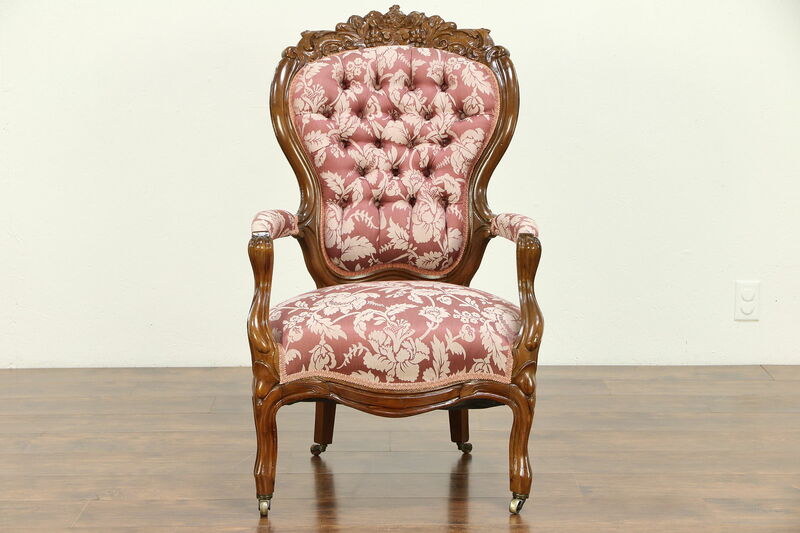 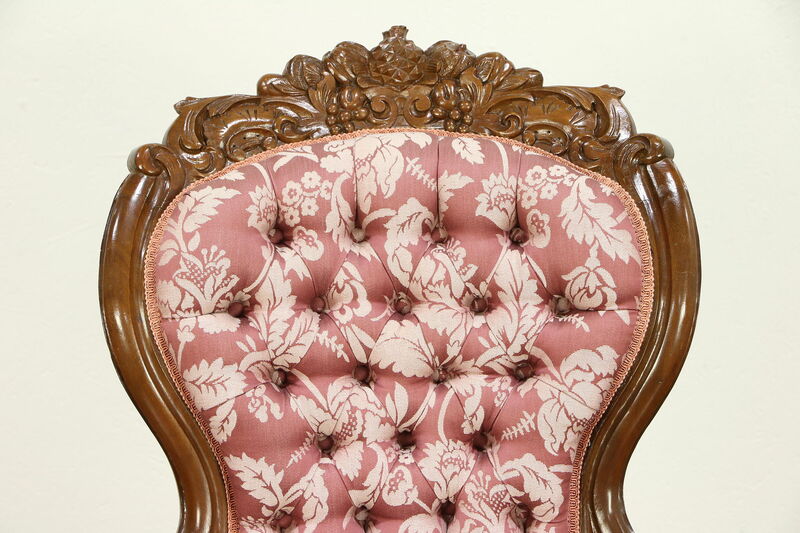 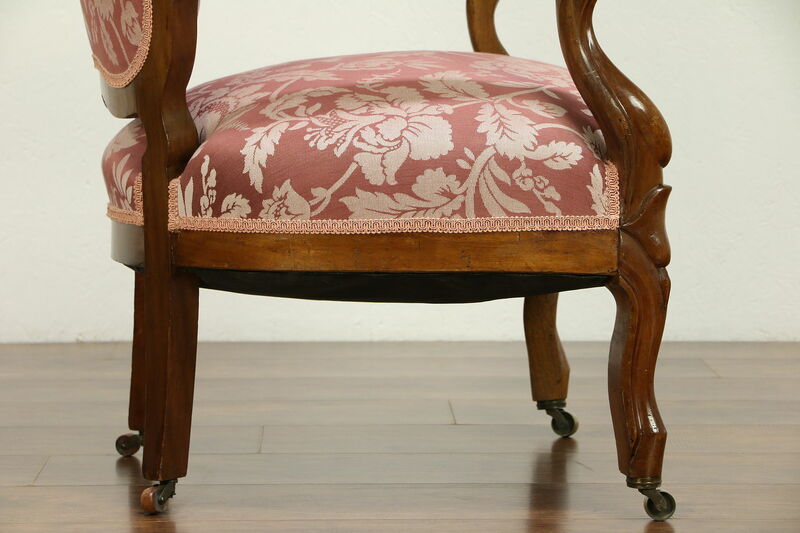 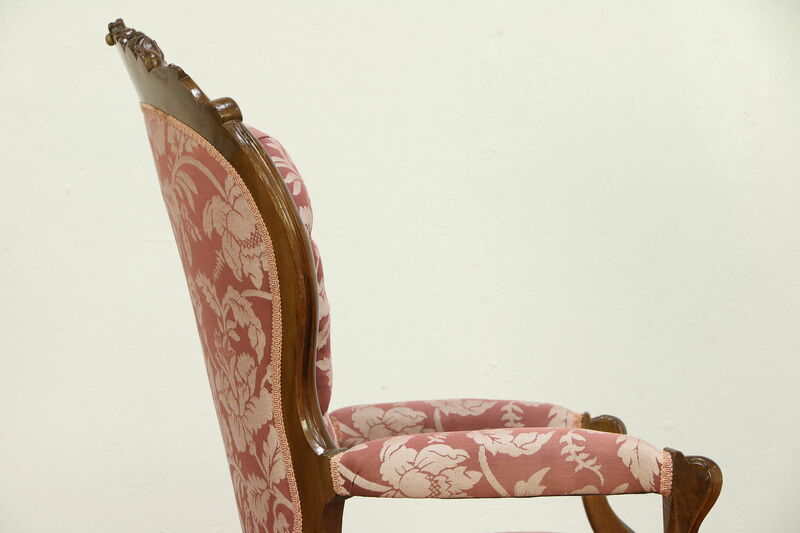 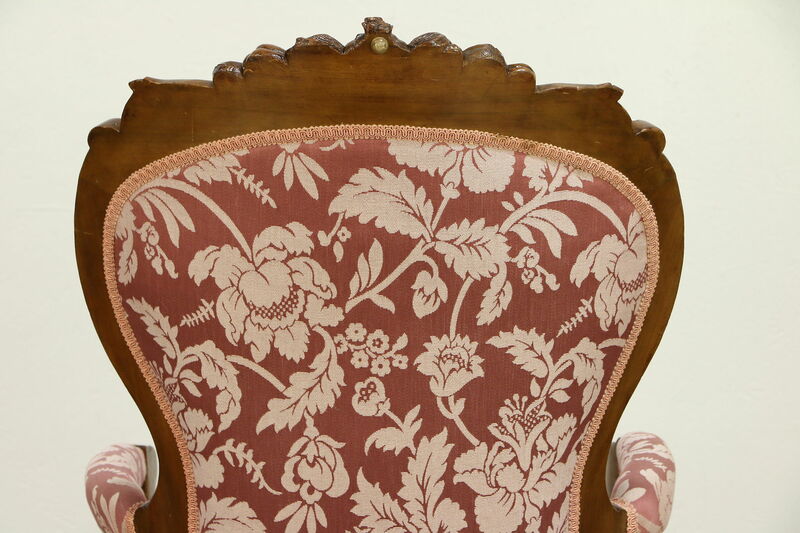 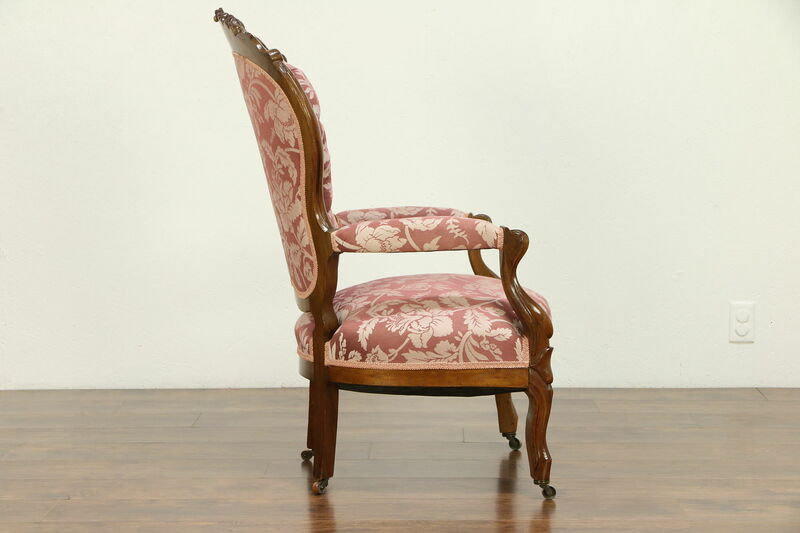 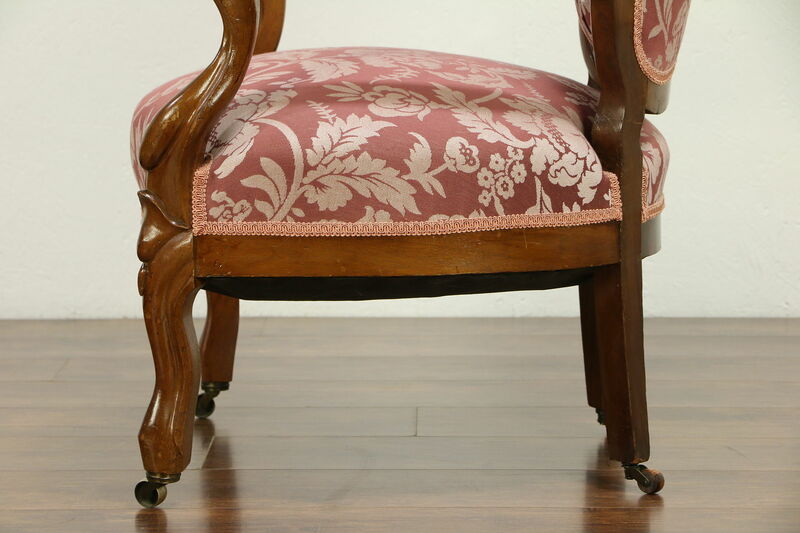 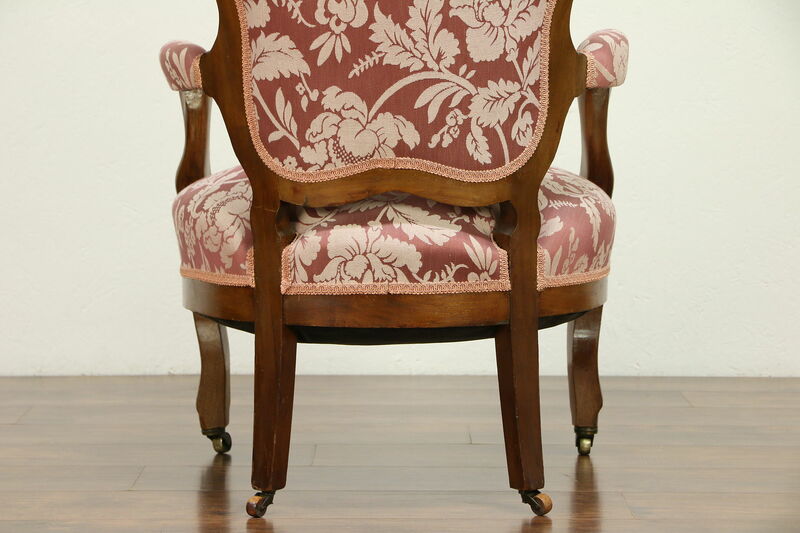 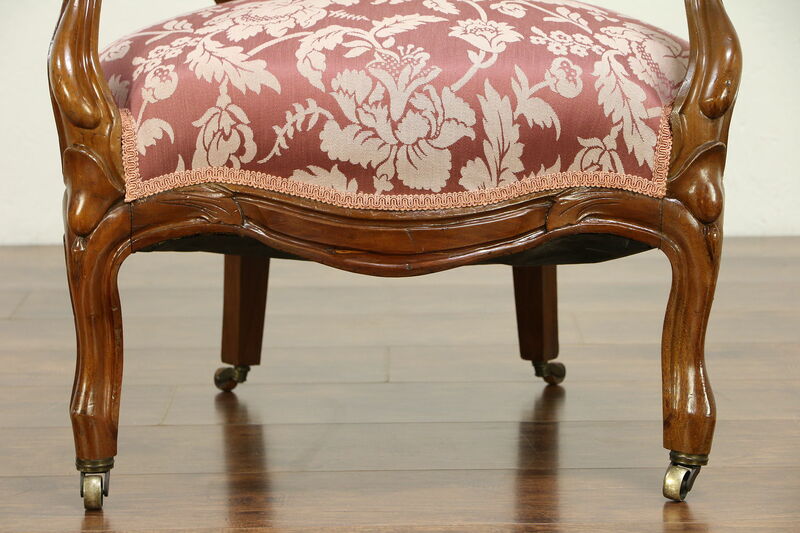 An exceptional Victorian period chair from about 1860 has a curved frame, deeply hand carved with a grape, pineapple and other fruit motif. 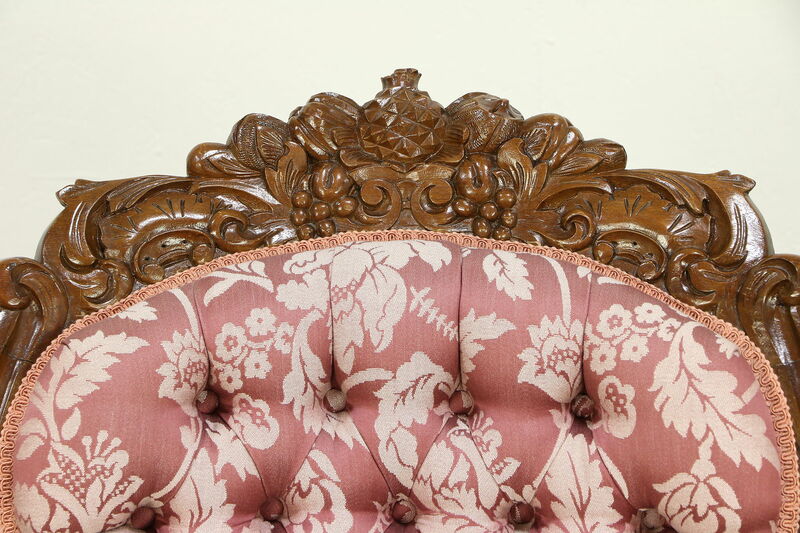 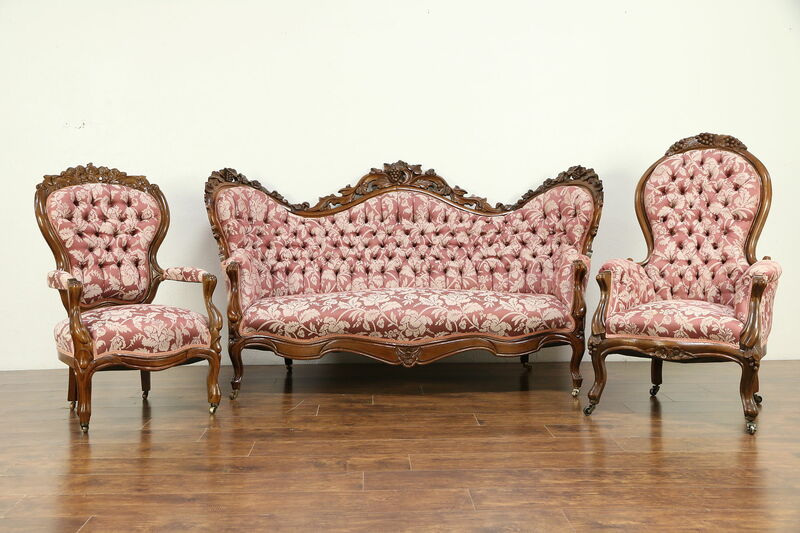 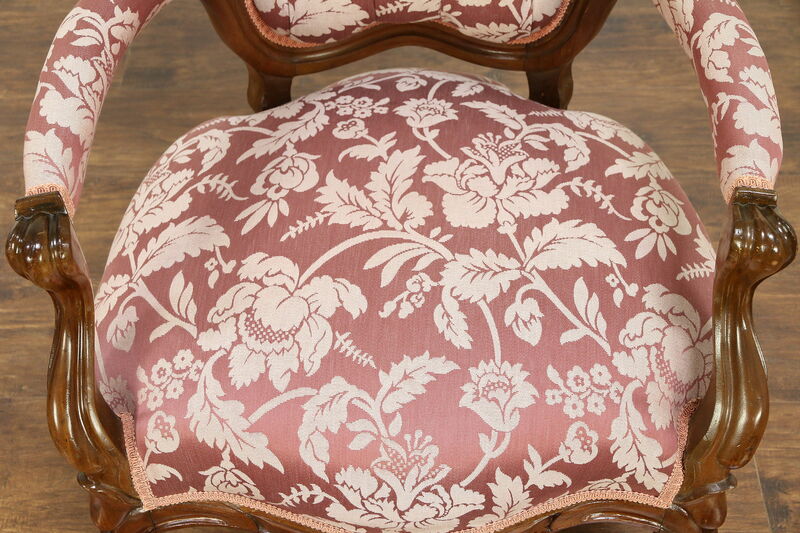 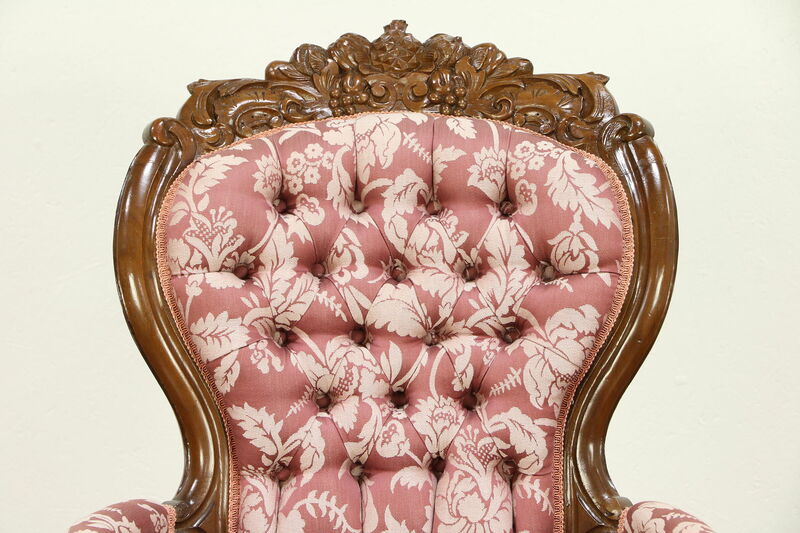 Tufted upholstery is in very fine condition with very little wear or fading. 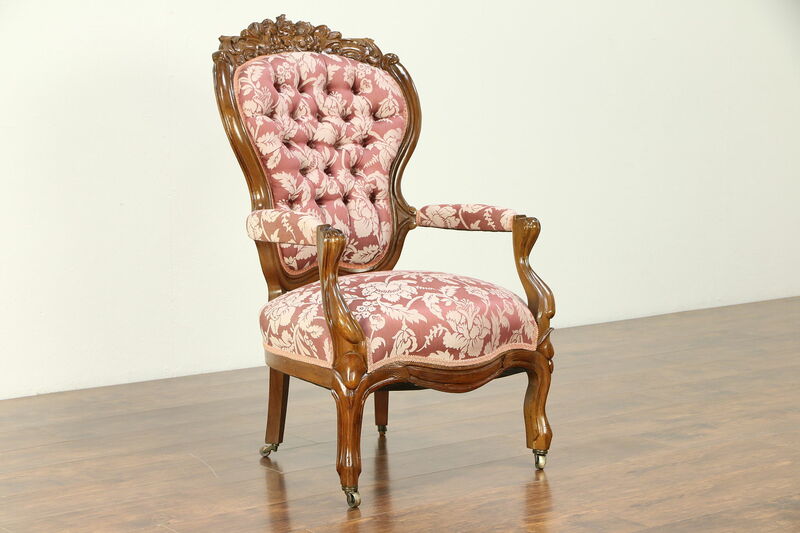 Size is 25" wide, 29" deep, 41" tall and the seat is 16" high.